EAGLE COUNTY – Colorado Mountain College students have more than diplomas on their minds. Apparently, they’re shooting for Olympic gold. Nine athletes who competed in the 2010 winter games have taken classes at CMC, according to school records. In fact, Colorado Mountain College appeared in a Feb. 26 Wall Street Journal article on colleges that produced the most 2010 Olympians. The journal estimated that CMC produced five athletes, ranking 17th among the schools that taught the most Olympians. CMC shared 17th place with Harvard University. The journal’s estimate had been based primarily on athlete biographies provided to the Vancouver organizing committee. Clearly, Olympians are drawn to CMC. One reason could be the school’s many campuses near ski resorts. Federal laws prevent CMC from revealing which campus the athletes attended but other details are fair game. • Apparently, Eagle-Vail’s Chris Del Bosco excels at more than skicross. He made the CMC honors list in 2005. He graduated from the school with a “certificate of occupational proficiency in Emergency Medical Technician Basic in 2006.” Del Bosco raced for the Canadian team in the Vancouver Olympics. 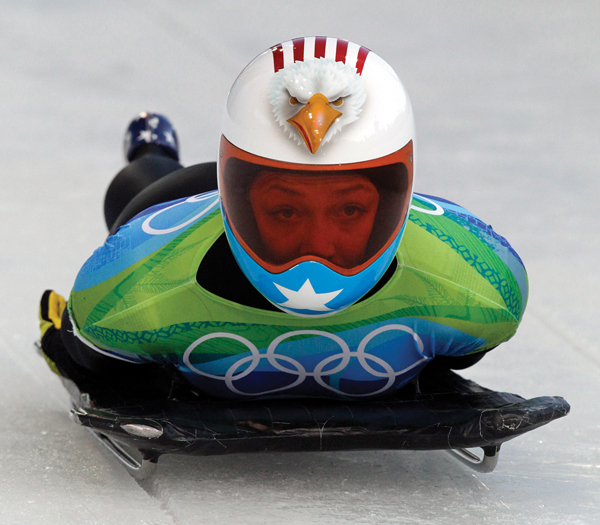 • Born in Vail, Katie Uhlaender competed for the Americans in skeleton at the 2010 Olympics. She earned an associate of arts degree from CMC in 2007. She now lives in Breckenridge. • Before Bill Demong became the first American to win a gold medal in nordic combined last month, he took classes at CMC in 2003 and 2004. • Johnny Spillane: He bagged three silver medals for the Americans in nordic combined at the 2010 Olympics. At CMC, he took classes in the summer of 2008. His major was undeclared. • Taylor Fletcher competed for the Americans in nordic combined at the 2010 Olympics. He earned an associate of science degree from CMC after taking classes in 2008/’09. • Olympic snowboarder Gretchen Bleiler competed for the American team in Vancouver. She took classes at CMC in fall 2000. Her major was undeclared. • Olympian Chris Klug apparently has career interests beyond snowboarding for the United States team. He graduated from CMC with a certificate in real estate in 2008. • Aspen’s Simi Hamilton competed in cross country skiing for the Americans in Vancouver. He attended CMC part time in 2004. • Jake Zamansky skied the giant slalom for the American team in Vancouver. He attended CMC in 1998. His major was undeclared.